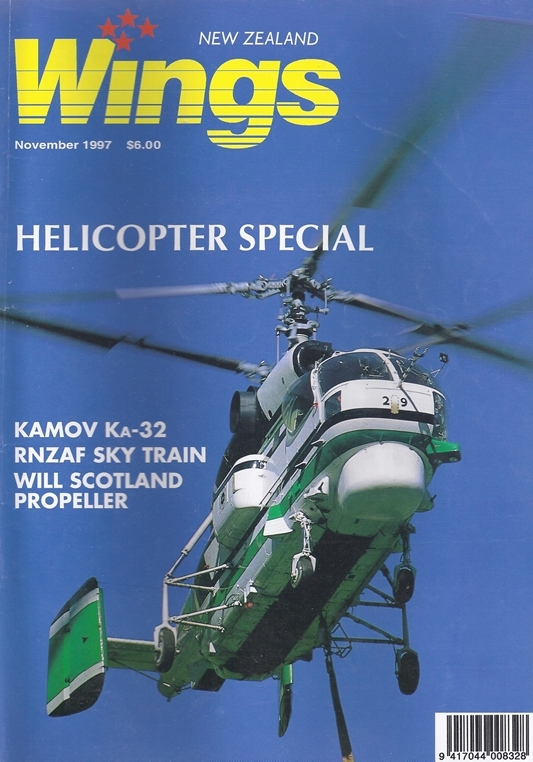 The incredible Kamov Ka-32. Story by Callum Macpherson, photographs by Ross Macpherson. Flying a 50 ton four-engine aircraft at low-level for a precision parachute drop requires teamwork, skill and experience. Peter Clark rides along with No. 40 Squadron's Hercules during this year's exercise "Sky Train". From its humble beginnings with a wet-leased Bell Jetranger and a pair of hand-held binoculars, Brian Pilkington tells just how far the Auckland Police Air Support Unit has come. Peter Clark looks at St John's recently imported Sikorsky S-76.